Scoop avocado in medium bowl. Add lemon juice, salt and pepper and mash with fork. 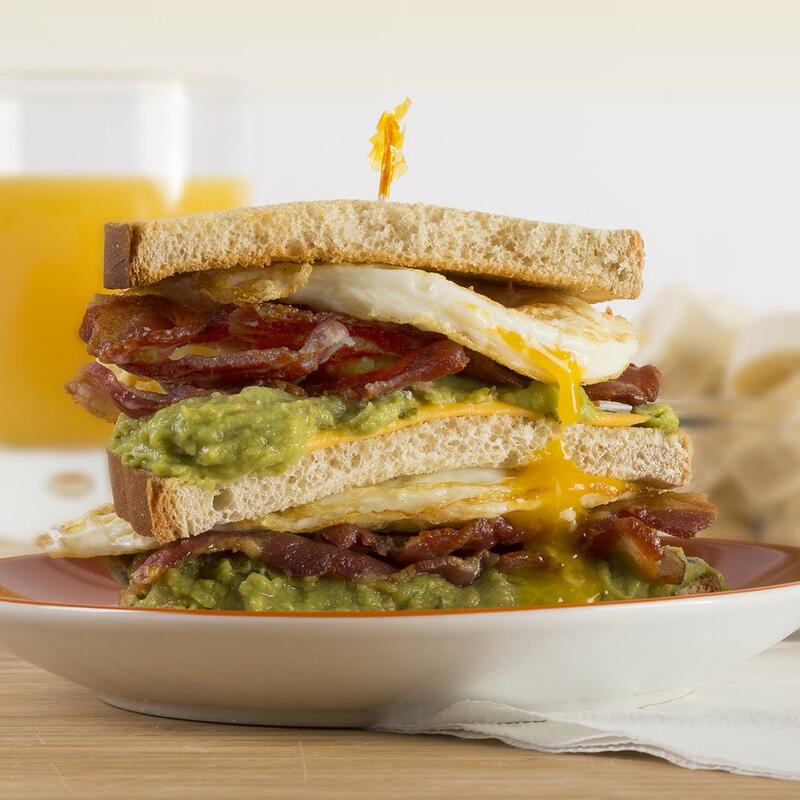 Spread the avocado on a piece of toasted bread and top with sliced cheese, Gwaltney Bacon and fried egg. Top the layer with another slice of toast and repeat Step 1. Close the sandwich with another avocado-slathered slice of toast. Slice the sandwich in half or diagonal quarters and serve.